The holiday season can be a difficult time for many people who suffer from mental health and addiction issues or who are victims of violence and crime. 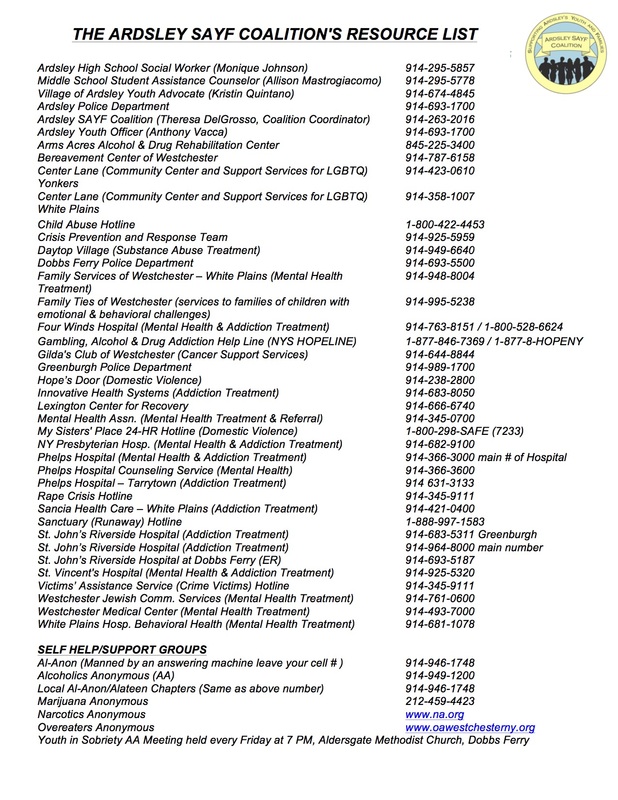 The Ardsley SAYF Coalition has compiled a list of resources available to someone in need, during the holdays, or any time. To access our list of local resources, please click here. Previous Post Reserve your seat for the Free Screening of SCREENAGERS October 18th!